In Star Wars: Episode VI Return of the Jedi, the forest moon of Endor, which houses the second Death Stars shield generator, comes under attack from a Rebel assault team. Aided by the indigenous Ewoks, they overpower the Imperial AT-STs and destroythe shield generator. This set includes an accurate model of Endor, an AT-ST driver minifigure, an AT-ST mini-model, a weapon, and a display stand with name plaque…. 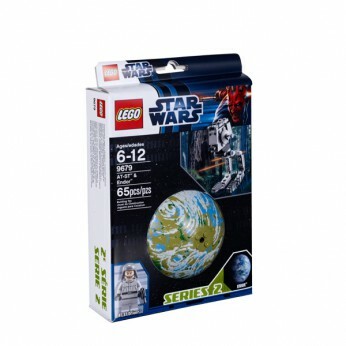 This toy costs approximately £9.99 (for the latest and best prices make sure you check our retailer list for the LEGO Star Wars AT-ST and Endor 9679 above). In our review of LEGO Star Wars AT-ST and Endor 9679 we classed it as being suitable for ages 6 years, 7 years, 8 years but recommend you check the manufacturer specific advice before purchasing.